Rickolus Update - new video for title track "Coyote and Mule"
Really enjoying this record and its vibe of fractured innocence and off-kilter but very enjoyable pop sensibility. Previous review here. The idea was lifted from a sequence in the movie version of The Wall by Pink Floyd. My favorite part of that movie has always been the part when "pink" trashes his hotel room then organizes all the trash. We took that idea aesthetically and added a kind of perpetual build and destroy theme to the concept that relates to the subject of the song. All relationships are a series of building and destroying and rebuilding. New Terry Malts video for "I Do"
We reviewed Terry Malts' album Killing Time at the start of the week, but they earned another post with a new video for album track "I Do". Good stuff! 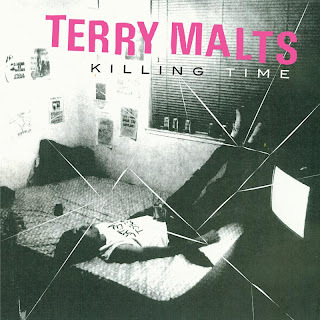 Terry Malts - I Do from Slumberland Records on Vimeo. Sometimes talent takes a while to find its way and be recognized. Seattle singer songwriter and multi-instrumentalist Jessica Dobson had a major label contract when she was 18. But her two records with Atlantic didn't get traction, and she was on her own again. Given her talents, she has kept more than busy--she toured with the Yeah Yeah Yeahs playing keyboard and bass, and she plays guitar in Beck's touring band. She also is a guitarist for the Shins. However, she again is the front woman, this time for Deep Sea Diver. Begun in 2007 as a solo project, it now is a three-piece consisting of Dobson, her husband, Peter Mansen (drums), and John Raines (bass). Until now, the only recorded output of which I'm aware was a 2009 EP. 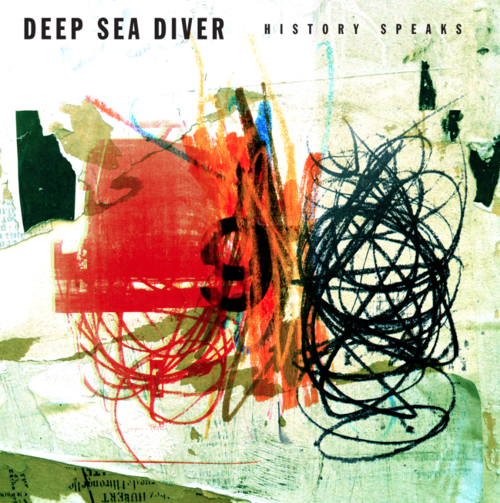 Today Deep Sea Diver self-releases their debut LP, History Speaks, and if there is justice in the music world, the buzz will begin. The nine tracks on History Speaks showcase the band' ability to produce both dense, melodic, up-tempo post-punk pop, and ballads with teeth. In terms of vocal delivery and instrumentation, the listener will note favorable similarities with PJ Harvey. The album showcases Dobson's excellent voice, as well as her work on the keys and guitar. But the rhythm section is a tight supporting unit, providing meaty grooves or gentle foundations as the song requires. Here is the standout single, "You Go Running", which I believe is available for downloading. Dobson displays her guitar chops on this one. Deep Sea Diver: In Black & White from Sound on the Sound on Vimeo. In my view, History Speaks is an impressive debut from a promising band. Download "You Go Running" and consider giving them some support. If you like "You Go Running", visit their Bandcamp site below for digital downloads. And in any case, make a note of them. I'm confident they'll be on our radar again. 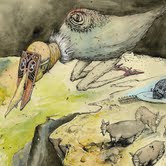 Liminal Phase is a Minneapolis band that plays with song structure and plays muscular rock, space jams, afrobeat rhythms and psychedelic, Zappa-style freakouts over the course of this album - sometimes in the same song. This strikes me as the type of record that musicians will really like, but if you are just a fan of well-played music with a variety of sounds and influences, you'll do yourself a favor to check out Adam Levy's band. Adam's better known as the leader of the Honeydogs, and this is clearly an outlet for his freakier impulses. The record starts out with "Fanfare", which leads into an extended jam "Quantum Entanglement", then "And The Robots Made Love" (there will be a later song snippet called "And the Robots Made God" - yes, Electric Ladyland would certainly appear to be an artistic touchpoint). Then comes what, to me, is the album's highlight - a Fela-inspired "Mugabe's Blues". You can stream the record at Spotify or Rhapsody, or read more about Liminal Phase at their website or their Facebook Page. The record came out in November on Simon Recordings, but I just discovered it in January... better late than never. The Soul Corner- "Expressway to Your Heart"
"Expressway to Your Hart" owed a great deal to the biggest and best blue-eyed soul band of the era - The Rascals, as well as the vocal stylings of the Righteous Brothers. The song has a place in soul history as the first hit for the Philadelphia-based team of Kenny Gamble and Leon Huff, who wrote and produced the track. Gamble and Huff went on to form the Philadelphia International Records label and became major hitmakers in the 1970's for the O'Jays, Harold Melvin and the Blue Notes, and many others, racking up 170 gold and platinum records in their career. If you asked many of the current noise pop bands to name significant influences, you would expect to see the Black Tambourine at or near the top of the list. Fortunately for fans of the genre, the band has emerged from their retirement to perform again. They also have recorded a double 7", and downloadable EP, of Ramones covers entitled OneTwoThreeFour. While we have to wait until May for Slumberland Records to release the album, we don't have to wait to enjoy the track "What's Your Game". In this slowed-down, feedback-heavy version of the Ramones' song, Pam Berry's lead vocals are supplemented by an all star backing band of The 'Rinettes -- Linda Smith, Rose Melberg (Tiger Trap and others), Dee Dee (Dum Dum Girls) and Jenny Robbins (Honeymoon Diary). Having Black Tambourine back is enough, but the 'Rinettes give it an extra-special sheen. So, for now, enjoy this song. We promise to be back with more when the album is released. I must confess that it is a bit of a stretch to label this a "Get to Know" post, because I really don't know much about Holy Esque. They are a four-piece based in Glasgow, and are unsigned. Their style is a wall of post-punk sound with a core of engaging melody. The distinctive vocals remind me of The Undertones. Here are two of their tracks. A third track can be heard at their Soundcloud page, and is worth checking out. Their demo for "Prophet of Privilege"
I trust my own instincts on music, and I would have paid attention to a new album from Frankie Rose even had there been no buzz about it. But I couldn't avoid noticing that many and varied good music heads were tipping Interstellar as one of the releases of the young year. And after thoroughly exploring the album, I'd have to align myself with the mainstream thought this time. Interstellar is a gorgeous album -- vocally, lyrically and musically. It is a new wave-influenced indie pop album that ably manages to be diverse and exciting, while pleasing your ear. Brooklyn-based Rose's musical journey to this point is worth noting. She was the drummer for noise pop/shoegazers Vivian Girls, and then spent time with Crystal Stilts and Dum Dum Girls. After a solo single, she formed Frankie Rose and the Outs, which featured Spectoresque wall of sound and girl group vocals (and attracted John's attention for this WYMA post. However, Rose's restless muse has led her in a new direction for this release. The change in sound from Frankie's other projects is marked. The fuzz and reverb of the past is pushed aside for a sound that is big, and remarkably crisp and clean. There is more space to emphasize the highs and lows. I think the result is a sound that seems more accessible and sensual. Frankie Rose - Gospel/Grace from Slumberland Records on Vimeo. Interstellar is out today on Slumberland Records (an outfit that never seems to put a wrong foot forward). I've learned not to predict in February where an album will rank at the end of the year. But I'd be surprised if I heard many pure pop albums to challenge this one in my mind. OK, listen up -- the answer is Killing Time. The answer to what question, you ask? Well, actually, it is the answer to a number of questions. For the last six weeks or so, what have I been doing in my study for hours? Killing Time. What have I done on weekends instead of yard work? Killing Time. What have I turned to when I just wanted to listen to an album? Killing Time. This album has the pace and attitude we crave from a punk pop album, but it is special because of it brings much more to the table. The baritone vocals are superbly delivered, the lyrics manage to be insightful and humorous ("your love make me nauseous") and it overflowing with melody and hooks. It is one of my top three albums of the year so far. I've enjoyed our time together here, but I've got to go -- it's Killing Time. Okay, being from Detroit I may be biased, but I firmly believe the MC5 to be the greatest American rock'n'roll band of all time. And very sadly, their extraordinary bass player Michael Davis died today at age 68. Davis and drummer Dennis Thompson gave the MC5 their skin tight, soul-based Detroit bottom that solidified the crazed dual guitar attack of the great Wayne Kramer and Fred "Sonic" Smith. The MC5 were avant, aggressive, tuneful, soulful, creative and totally original. They sound as fresh and revolutionary today as they did 40+ years ago. Davis did some important work in later years, creating Music is Revolution Foundation in 2006, which supports music education in public schools, with the goals of raising public awareness about the ability of music education to increase cognitive ability and test scores, reducing drop-out rates, and inspiring a new generation to develop greater understanding of the world around them and express themselves through music. Here's The MC5 "Looking at You" live in Detroit in 1970. The section between 1:39-1:49 is as good as it gets. MC5 Band web page - fittingly, "mc5.org"
Sunday Short: Bob Dylan, "Don't Think Twice, It's Alright"
A musician friend posted this at his Facebook page today. I've now listened to it about 5 times today. An absolutely spellbinding live version of Bob Dylan doing "Don't Think Twice, It's Alright", recorded in October 1963 at Carnegie Hall. It made my day, hope it makes yours too.